This design was the first Watergarden – inspired by the beautiful knotgardens and ornamental basins in some baroque parterre gardens. You can now recreate your own, made from colorful threads, variegated silks, sparkling metallics and beautiful beads ! 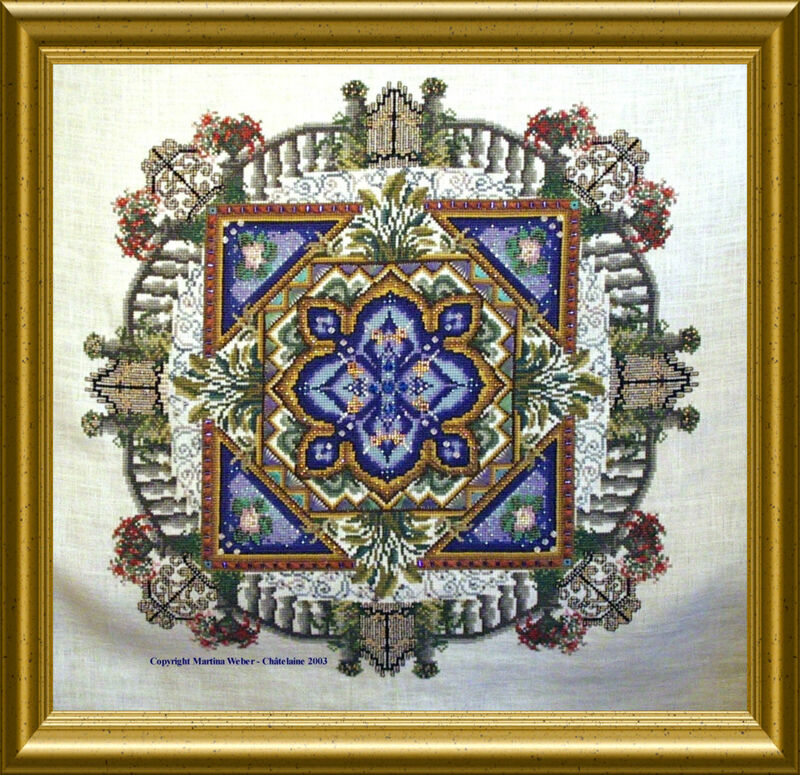 Special Stitches are well explained and will give dimension to the cross stitching ! 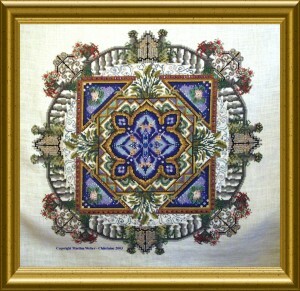 The mere design size of this one is 237 x 237 stitches. This is so beautiful. I bought this in a black and white instruction. I would like to know if I can order in color for back stitching. Thank you for your help. 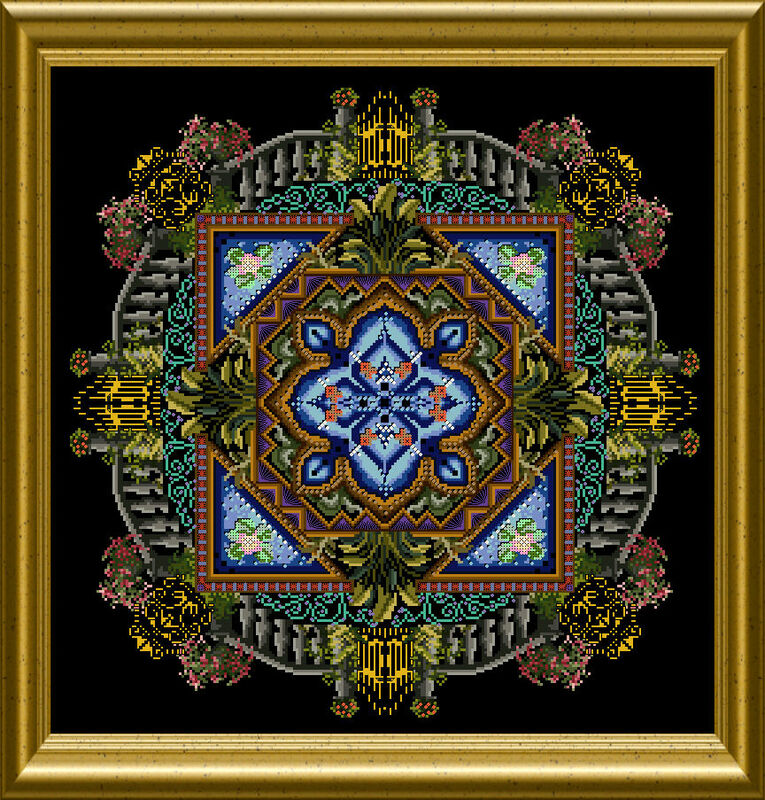 I ordered the kit for Watergarden (022) and would like the pattern as a .pdf file. I do not see that options listed. Is this pattern available as a .pdf? Hi, Patterns you order from my site are _alwlays_ in PDF formate ! Thanks, Martina. I just orderes it feom you! Sorry, I just ordered the pattern from you!